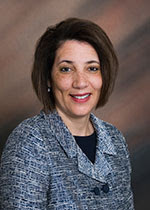 SCC President Cheryl Roberts, Ed.D. Shoreline Community College President Cheryl Roberts, Ed.D., has joined more than 200 college and university leaders across the country to launch the Presidents’ Alliance on Higher Education and Immigration. Founded in December 2017, the Presidents’ Alliance on Higher Education and Immigration brings together college and university chancellors and presidents dedicated to increasing public understanding of how immigration policies and practices impact students, campuses and communities. They support policies that create a welcoming environment for immigrant, undocumented and international students on U.S. campuses. “Shoreline Community College offers steadfast support for all of our students, including undocumented and immigrant students. We stand by DACA recipients and remain committed to keeping our doors wide open to them, because we know that our quality of life in Washington improves when everyone has access to education,” said President Roberts. The Alliance is now urging Congress to pass bipartisan legislation before January 19, 2018 to protect the young immigrants knows as Dreamers from deportation. In September 2017, after the U.S. Administration decision to rescind the DACA program, Roberts also joined a coalition of more than 50 Washington college and university presidents in issuing a statement to call on Congress to pass bipartisan legislation to ensure DACA recipients could remain in the United States to pursue their dreams without fear of deportation. “Students in the Deferred Action for Childhood Arrivals (DACA) program are our friends, neighbors, and community leaders, and they deserve an opportunity to learn, grow, and expand their horizons,” said President Roberts. Shoreline Community College offers more than 100 excellent academic and professional / technical programs. The professional/technical programs at Shoreline are closely tied to industry and graduates gain the skills that help them quickly find employment in their chosen field.